When I originally opened my photography business in New Albany, Ohio, I named it Straz Photography, LLC. I did this to have a name that was personal and unique. I also liked combining my nickname with my passion of photography. Over time, I realized that this was confusing to many and decided to create a brand within the company named Karen Koenig Photography and focus on high school seniors. So I’ve just changed my website to reflect this name change. If you’re looking for me on IG, just know I’ve changed that to @Karenkoenigphoto to keep it more consistent. Believe it or not, that was the hardest change for me! Some things are just hard to let go. But just as the seniors are facing new paths after high school, I will move ahead on this new path of mine. 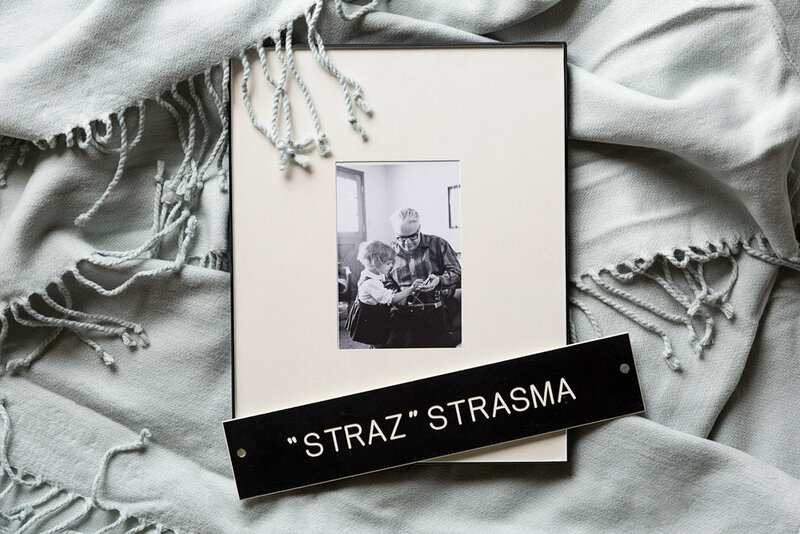 The photo above shows a nameplate that belonged to my grandfather, Edward Strasma, with a photograph of us both. I have very few photographs with him, so it’s special that the one I have is of him showing me a Polaroid camera. If you have a senior graduating in 2020, now is the time to schedule a session to capture their senior year. And then you’ll have something to look back on from this time in their life! You can find me at Karenkoenigphotography.com.